Massacre | where is the international outcry? The US and its allies are beating the drums of war against Syria much louder than before. Despite the fact that there is no solid evidence about the chemical attack near Damascus, the West and its regional allies are preparing to attack Syria, based on suspicions and not facts. It is the same scenario played in Iraq where the country was invaded over false accusations. Any US military intervention in Syria ,would be a disaster for the region which is now like a gunpowder warehouse. The repercussions of such action(US intervention) would be unpredictable. This seems a preplanned scenario by the West. Actually the US and its allies are heading toward a new destructive war in the Muslim world. What will the regional and global consequences of such a scenario be like? *Check it out: Syria, Who is using chemical weapons? Egypt in Blood: Who are the beneficiaries? Egyptian security forces moved in to clear out thousands of supporters of ousted President Mohamed Morsi from two camps – one near the Rabaa al-Adawiya Mosque in Cairo and a smaller one in Nahda Square in Giza. 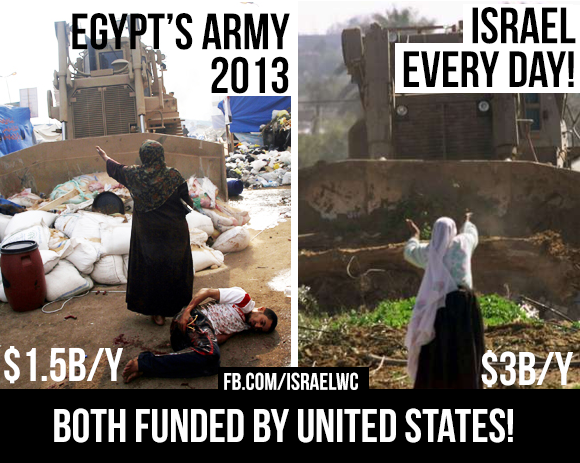 The cowardly Egyptian military that has lost every war to the Zionists is now butchering its own people with full US/Zionist support and equipment. 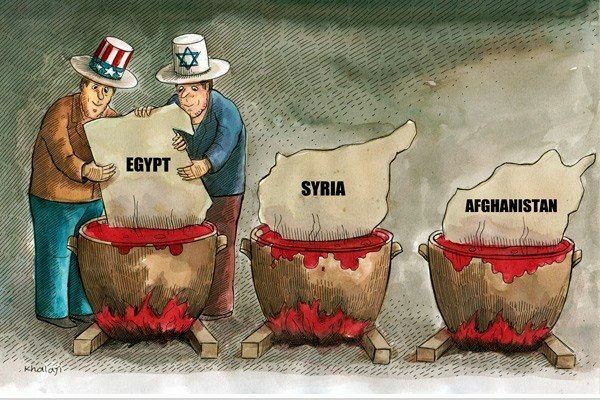 They are enforcing the US blueprint for regional destabilization and sectarianism. I wonder where the “western champions of human rights” are today? US President Barack Obama has announced the cancellation of US-Egypt military exercises following the latest killings in the country, without talking about suspending Washington’s annual military aid to Cairo. Tension first intensified in Egypt on July 3, when the Egyptian army removed Morsi from office. The army also suspended the constitution and dissolved the parliament. The Wednesday crackdown, however, may be well on its way to further worsening the situation and turning it into a more serious conflict. Now all world people can watch how the US supported coup is implementing the west democracy in the Egypt.